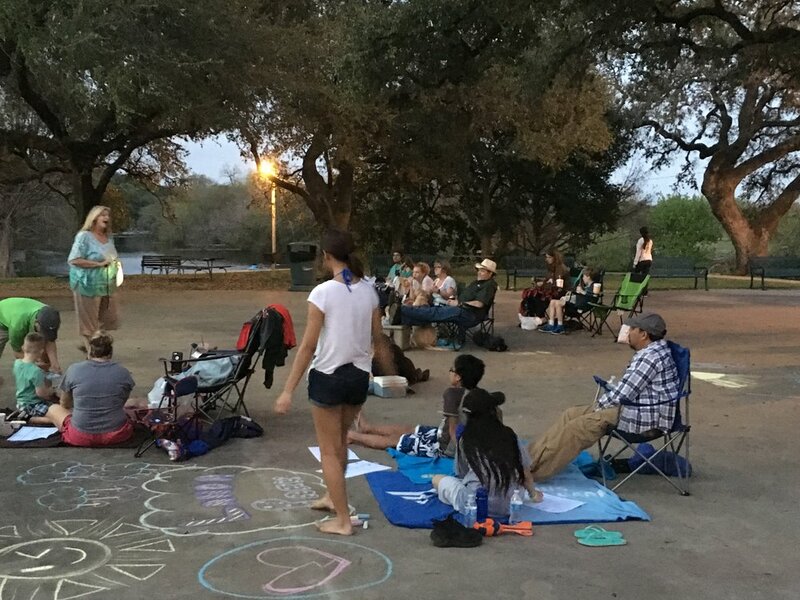 At the Movies in the Park event at the Landa Park Dance Slab on Friday, March 17, the city of New Braunfels presented Disney-Pixar’s Cars, a movie about an Interstate Highway bypassing a friendly, small town. Prior to the showing, City Planning Manager Stacy Snell hosted an interactive discussion with kids and families about the Comprehensive Plan. Stacy discussed New Braunfels, town pride, and how residents can participate in the Envision New Braunfels planning effort to express their desires about the future of New Braunfels. 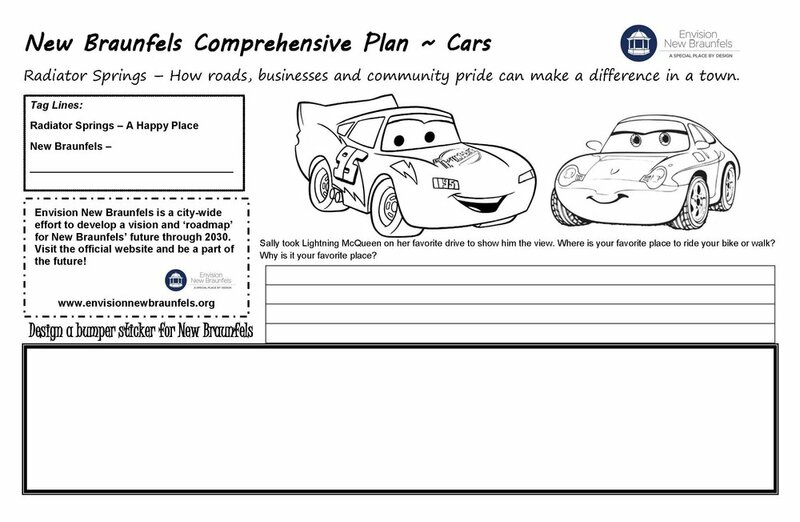 As a part of the discussion, Stacy shared an activity sheet with the kids to be included in the Comprehensive Plan. If you didn’t get a chance to attend the event, the activity sheets can be downloaded here.